TEMS Investigation is the industry-leading tool for troubleshooting, verification, optimization, and maintenance of wireless networks. Offering data collection, real-time analysis, and post-processing all in one, TEMS Investigation is a complete solution for all of a network operator�s daily network optimization tasks. This complete solution eliminates the need for multiple tools, reducing costs and saving time and effort for operations staff. 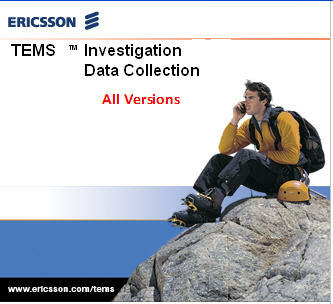 TEMS Investigation supports all major technologies, making it the ideal solution both for rolling out new networks and for ensuring seamless integration with existing networks.Using TEMS Investigation, operators can achieve improved voice quality, increased accessibility, improved retainability, and better service performance. A wide range of powerful, easy-to-use features makes TEMS Investigation essential throughout the network�s life cycle. TEMS Investigation also offers true multi-vendor support as well as multi-technology infrastructure support. It supports handsets from all major vendors across multiple technologies. In order to post-process the data that can be collected with TEMS Investigation, TEMS Presentation can also be used to view, optimize, and improve quality of service easily and conveniently. Verify cell coverage, capacity, accessibility, etc.